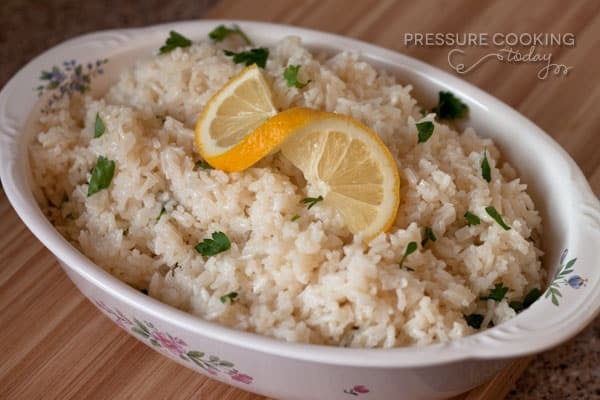 Lemon rice cooks in the pressure cooker in just four minutes. It’s a perfect side dish for one of our favorite dishes, Greek Souvlaki. 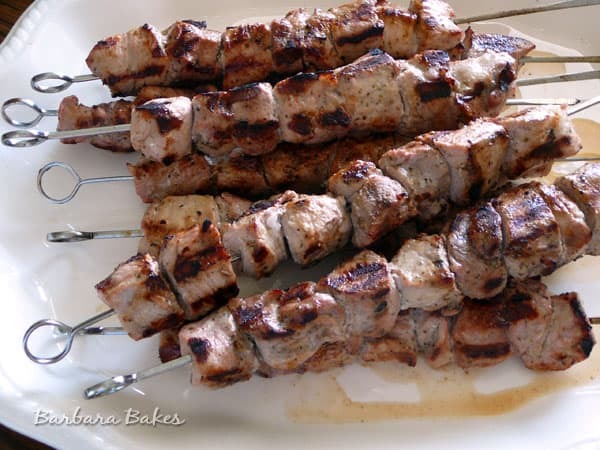 Souvlaki with Lemon Rice is a meal my family loves all year long, but especially when barbecue season comes around. I marinate cubed pork overnight in a little olive oil, lemon juice, salt, pepper, and marjoram. I skewer it and quickly grill it. When we have souvlaki, my family always expects to have lemon rice. And although the soulvaki cooks in minutes, the rice seemed to take forever to get tender on the stovetop. But now that I pressure cook the rice, it’s ready in minutes too. If you’re not cooking rice in the pressure cooker, you’re missing out. It really is the easiest way to get perfect rice every time. An Instant Pot is one of the most popular brands of electric pressure cookers. 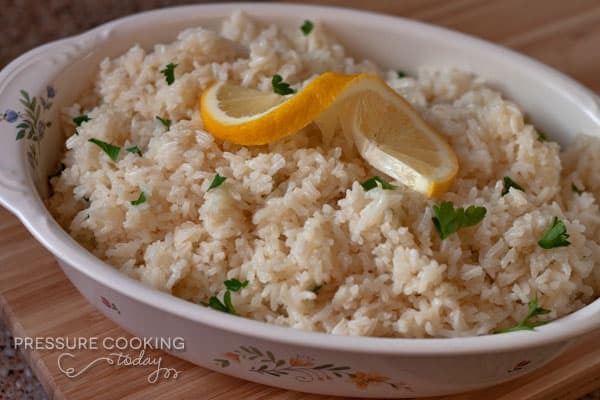 They are easy to use and your Instant Pot can help you create this delicious Lemon Rice! What’s your family’s favorite must have recipe? Select Sauté and add butter to cooking pot. When hot, add the rice. Cook, stirring occasionally until rice becomes opaque, about 2 minutes. Add broth, water, lemon juice, and salt. Cover and lock lid in place. Select High Pressure and set timer for 4 minutes. When beep sounds turn pressure cooker off, wait 5 minutes and then use a Quick Pressure Release to release pressure. When valve drops carefully remove lid, tilting away from you to allow steam to disperse. Fluff rice with a fork and serve immediately. Optional, garnish with chopped fresh parsley. This looks amazing! 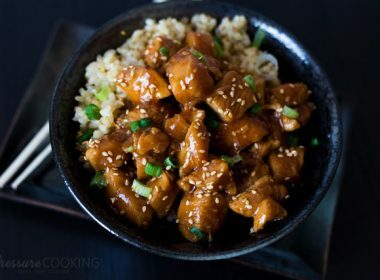 Could i substitute the long grain rice with jasmine? Thanks! Yes – I think that would work well. Absiolutely, positively LOVED this lemon rice. 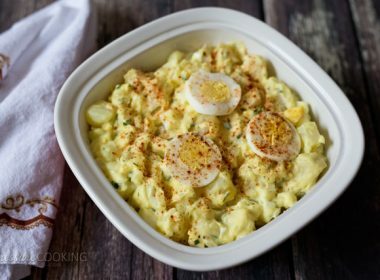 So easy, so good, and so very quick to make. Making rice in the Instant Pot has been hit-or-miss for me with many of the recipes on Pinterest, but this recipe was spot on perfect! It has just the right amount of tang from the lemon juice, but doesn’t overwhelm, and the consistency was creamy, similar to a risotto. This one’s a keeper. Thanks Pat – glad you loved it. You described it perfectly! Love lemon rice. Could I make it by just adding water rather than chicken broth as I am vegetarian? Hi Mina – definitely, using water will works just fine. Enjoy! Yes, but I would just get a can of vegetable broth for a better flavor. You can also make it but it is too much trouble for making only 2 or 3 cups. The Instant Pot is also the easiest way to make any type of broth but you typically make about 7 or 8 cups worth when you make it yourself. I see you have a recipe for brown rice using a stove top pressure cooker. I just bought my first electric pressure cooker today and haven’t used it yet. How do you do your long grain brown rice? Appreciate your advice and I’ve signed up for your newsletter. 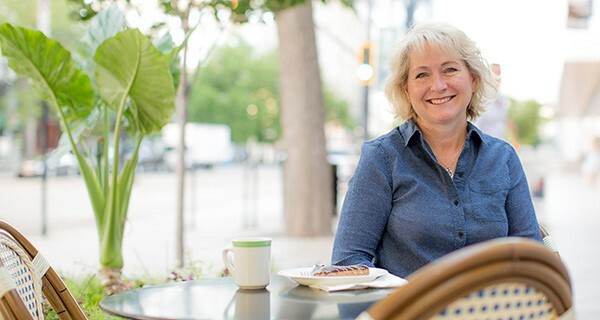 Hi Barbara – how exciting! What brand did you buy? All my recipes are written for the electric pressure cooker. Here’s a link to the brown rice recipe I make all the time in my Instant Pot. http://www.pressurecookingtoday.com/pressure-cooker-brown-rice-and-a-giveaway/ Let me know if you have any questions about making it. It also work great for making wild rice in a reasonable time too. I usually use 50/50 mic of brown and wild rice. First timer here- do I turn sauté off once I’ve added the liquid? And then do I manually set timer? Hi Jocelyn – you add the water with the broth and the lemon juice. I’ve updated the recipe instructions. Thanks! Hi, I almost always use brown rice, but use white rice every once in awhile and have problems sometimes with the rice sticking? Never have the problem with brown rice though? Is there an easy way to get around this problem? Do you clean your rice? I’ve heard of adding vinegar helps? 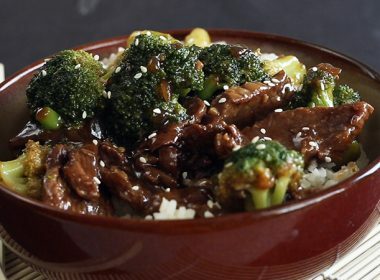 Have you tried adding more water with white rice? Are you using a stove top pressure cooker? electric pressure cooker, computerized one. I added the less water, and more, but still, sometimes it comes out sticky. Tried different brands of rice too? 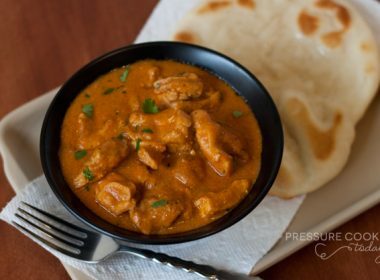 Tempted on going back to my rice cooker, but want to learn to do it right on the pressure cooker because of the time that is saved. Cool, might be a bit before I try it this way, just made a batch of brown rice. But will try it with your suggestions. The flavor of the brown rice would over power the light acidity of the lemon. It works better with herbs. Super good. Love the hint of lemon you taste in the rice. Will never cook rice the same again. Thank you! Great recipe! I made it with brown rice and it worked fantastically. I used the cooking time you’ve posted about for the brown rice. Came out perfectly and the lemon was just perfect. Thanks Nicole! I haven’t tried it yet with brown rice. Glad to know it works well. Ok, so does that mean you turn off after 4 minutes or what? And I don’t think we have the same pressure cooker but could you explain quick release method please, thanks. Oh and I second that coconut rice too. Yes, after 4 minutes turn off the pressure cooker, wait 5 minutes for the pressure to release naturally and steam the rice a bit, then release the pressure according to your manufacturer’s instructions. 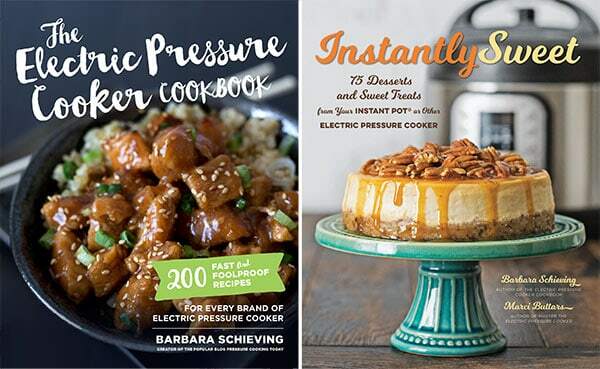 The instructions for the electric pressure cooker are in my FAQ sections http://www.pressurecookingtoday.com/faq/#QuickRelease. 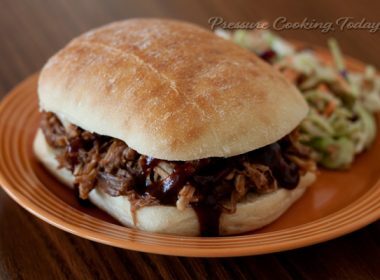 You need an Instant Pot which is set in 1 minute increments not just a pressure cooker. Quick release – open the valve to depressurize.